Black Friday is here to remind everyone outside the US that electronics won’t be shipped to their addresses. Woe! 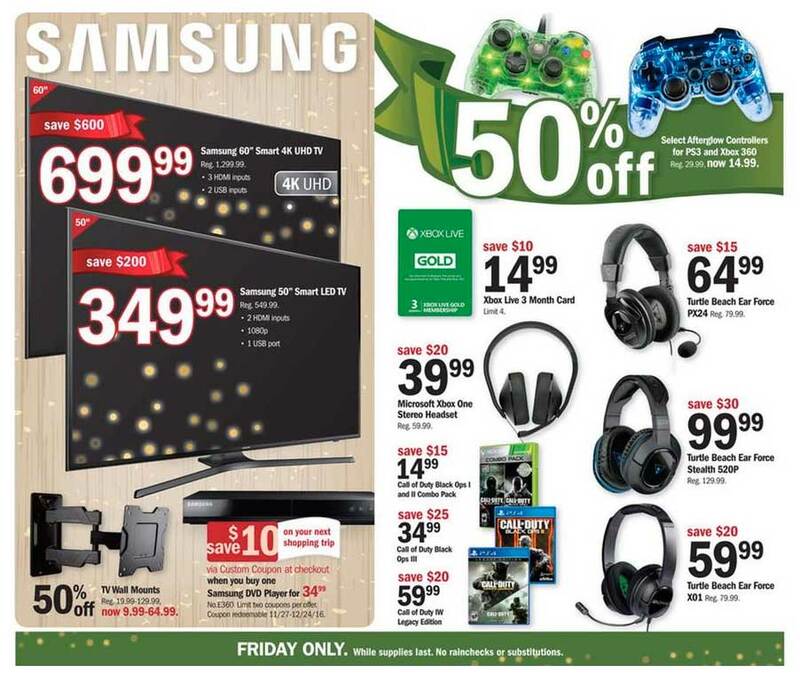 Meijer’s Black Friday catalogue has escaped into the wild, adding to our growing list of best PS4 Black Friday deals and best Xbox One Black Friday deals. One of the smartest things you can do during the Black Friday sales is grab up a bunch of subscription cards at a discount and enjoy savings all year – so don’t miss $10 off three month Xbox Live gift cards in this one. If you’ve been waiting on Call of Duty: Infinite Warfare you can pick up the Legacy Edition at a discount, which is pretty tasty. In fact all the major console game discounts are Activision titles, with Call of Duty and Guitar Hero on show. That said, if you pick up the full Rock Band Rivals Band Kit you’ll get a second guitar for free which is quite nice. Meijer is also discounting a range of 3DS games, and is carrying the cheap as heck Mushroom Kingdom print New 3DS edition – but that’s the only hardware deal. There are some decent TV savings, though. The full list of deals is below: it’s all while stocks last, Black Friday only, and restricted to a certain number of purchases per customer. Visit Meijer to find your nearest store.